is a finance and operations professional with 20 years of experience in accounting, human resources, and operations management in nonprofit organizations with budgets ranging $7-$30M. He has successfully managed up to 500 employees. Lievin is originally from Democratic Republic of Congo (DRC) where he worked for 16 years within international nonprofit organizations. Early in his profession, he worked for four years with the Peace Corps of the United States as a trainer. He taught French and Congolese languages to American volunteers stationed in Central Africa, and helped them integrate into African culture. 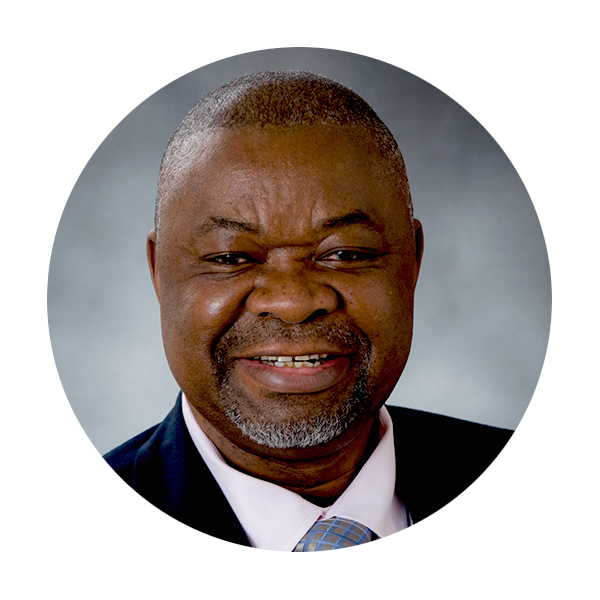 Subsequently, he joined the International Committee of the Red Cross (ICRC) in DR Congo and worked as a Finance and Human Resources Manager. Because of his strong leadership and management skills in financial analysis and accounting, he was appointed as Director of Finance at the national level. He managed and supervised budgets for nine field offices, trained staff accountants and managed all daily accounting operations. Before joining CVNL, Lievin worked as Finance, Accounting & HR Manager at Upwardly Global, a U.S. national nonprofit organization. At Upwardly Global, Lievin created a strong foundation for growth that improved financial systems to sustain rapid organizational growth from $1.9M to $7M. Lievin holds a Masters in Accounting with CPA Emphasis from Walden University, a MA in French Literature, and a BA in African Linguistics from Institute of High Education in Teaching and Training in Democratic Republic of Congo.